Have you ever set a goal and did not accomplish it? Chances are that they were not congruent with your top values. If you set a goal that is congruent with your top values or will allow you to reach your top values then you will probably achieve it. A goal is something that you perceive is missing in your life, a void. 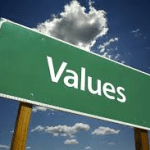 Your values and the hierarchy of your values are unique to you. 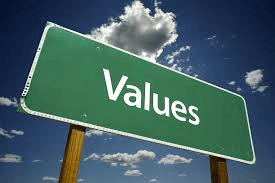 You spend your life fulfilling your values, in particular your top values. What are your top values? There is an exercise to determine these but look in your life at what you love doing, in particular look at what you spend your money on without thinking about it. So why are values and their hierarchy so important in losing weight? If wealth is not in your top five values the chances are that you will not achieve it, if health is not in your top values then the chances of you losing weight are quite slim. To increase your chances of success in weight loss link weight loss to your top value. Let’s say that money and family are some of your top values. Write a list of how losing weight will help you to be wealthy and how it will help you with your family. Write down at least 30-50 reasons, this will create new pathways in the brain and increase your chances of success.